Luxury cruise and tour operator APT has added five new Small Group Discovery tours to its impressive Europe line-up for 2018. These new tours in Iceland, Morocco, Ireland, Lapland and Northern Croatia and Slovenia will cater for guests who appreciate intimate and immersive touring experiences that delve deeper at every location. Guest numbers are capped at just 20 per departure and tours travel less kilometres each day, visiting unique attractions which larger tour groups often bypass. Guests travel in wi-fi equipped luxury coaches which are designed to comfortably seat up to 40, and often stay in unique accommodation – including glass igloos in Lapland, castles in Ireland and in luxury tents at a private desert camp in Morocco. Among the new itineraries, the 11 Day Emerald Island, priced from $7,495 per person twin share, commences in Belfast and heads across to Donegal, down Ireland’s west coast and eventually to Dublin. Along the way guests take in sights such as the Slieve League Cliffs and the Giant’s Causeway, the town of Cobh – the last port of call for the Titanic – and the Killarney School of Music, where they attend an exclusive Celtic concert and Irish dancing demonstration. 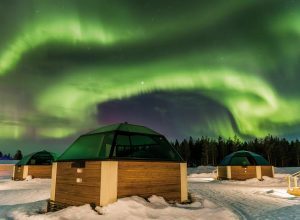 Meanwhile guests on the eight day Northern Lights & Lapland tour spend four nights in Rovaniemi, Finland, including two staying in unique glass igloos, where they will perhaps capture great views of the Aurora Borealis. 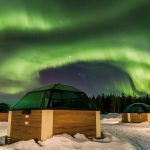 Here guests can learn to drive snowmobiles and perhaps try out a traditional Finnish sauna or take an ice sculpting class. Like many APT Small Group Discovery tours, this itinerary dovetails with APT’s flagship river cruise, the 15 day Magnificent Europe which sails from Amsterdam to Budapest. This complete 22 day itinerary, including the river cruise, is priced from $14,940 per person twin share. APT’s new Small Group Discovery tours are among those featured in APT’s Europe 2018 brochure, which is available to agents now. They are accompanied by a range of Superdeals including a $1000 airfare credit per couple for guests who book a Small Group Discovery, and free return flights from Australia for guests who combine a Small Group Discovery tour with a 15 day APT Collection river cruise. All APT Europe 2018 Superdeals are valid for bookings made before 31 August 2017 and are subject to terms and conditions. APT Small Group Discoveries are inclusive of sightseeing, accommodation and meals as noted on each itinerary, in addition to tips and transfers and the services of an experienced APT Tour Director. APT’s Europe 2018 brochure is available now. For further information, please contact APT on 1300 196 420, visit aptouring.com.au or see your local business development manager.